That seems reasonable. We all want the people around us--and we want ourselves--to look at issues thoughtfully and come to conclusions through careful consideration, instead of snap judgements based on little knowledge. When others make choices for you, there’s no critical thinking. 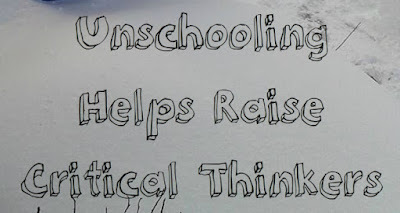 Or as Alfie Kohn put it, “The fact is that kids learn to make good decisions by making decisions, not by following directions.” By giving children greater control over the everyday choices in their lives and including them in the realities of family decision making you’re automatically introducing them to the art of critical thinking. Experiencing differences. Neighborhoods and school districts are often made up of a roughly homogeneous group of people in similar socio-economic brackets and racial backgrounds. This isn’t always the case, of course, but too often it is. If you value critical thinking (not to mention social justice), this is bad news. Exposure to a range of different people is generally understood to be a good way to build empathy for others, gain a more nuanced view of different experiences, and figure out where you stand on important issues. In other words, experience with other people and other views helps build critical thinking. 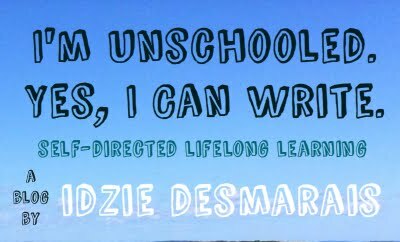 Funnily enough, this is one that unschoolers--all school free learners, in fact--are frequently accused of doing a poor job of. Plenty of times that’s true, but it’s every bit as true of schools. With all of the above, I don’t mean to imply that entertaining bigoted or abusive views in the name of “respecting different opinions” should be the goal. Certain views are considered unacceptable for a reason, and don’t deserve respect. I’m just trying to touch on the importance of joining or building many different communities, not only spending time with people who are exactly the same as you. Talking about and learning to recognize biases in the world around you. While the term “fake news” might be being bandied about a bit too loosely, it is important to understand that not all sources are equally accurate, and even the best sources are still not wholly unbiased: everyone perceives the world through their own set of prejudices, and even a journalist doing their best to report accurately is going to be subtly influenced by their unique set. 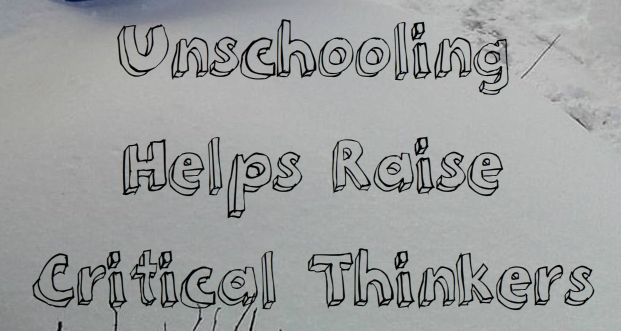 So how do unschoolers--or anyone, for that matter--learn to recognize bias? You talk about it! Or at least, that’s what I learned to do. What unquestioned beliefs underlie this storyline? What identities does this reporter hold that might tell you something about their perspective? Is there a reason the creators of this film might want to influence your thinking in a specific way? I ask myself these types of questions all the time, and I discuss them with family and with friends. This type of deconstructing is contagious, spreading among friend groups and instilling habits of questioning everything in the children in your lives. Looking at studies, not headlines (and looking at those studies critically). I’m sure all of us have posted an article a time or two without verifying the accuracy of its claims. I know I have! But as a general rule, I try to look past the headlines and figure out what exactly is behind them. For instance, while scientific research or surveys are often sensationalized in headlines, the breadth of the study, its quality, what the conclusions the researchers reached actually were, and any caveats they share in their own overview is very rarely (wholly) reflected in mainstream press coverage. So I generally make a habit of looking over whatever part of the study in question is available for free, and looking over it thoughtfully. What I mean by that is that the very first things I ask myself after getting some basic ideas about the methodology of the study, the demographic groups surveyed, etc. is “how could the choices the researchers made have affected the results?” How long were the study participants followed? If a wider range of demographics were surveyed, might the results have been different? Too often we learn to see experts as infallible, and while there are certainly many areas where I respect the knowledge others have as greater than my own, that certainly doesn’t mean I can’t turn a critical eye to any and all things I read, and use my own reasoning to decide how reliable it is. Emotions are as important as rationality. Sometimes people like to take the idea of critical thinking to mean “feelings don’t matter, stop acting like emotions are important and coddling people.” Critical thinking is about knowing what elements exist in any given situation, and considering how they do or should affect the outcome. In human culture and human interactions, emotions will always be an important consideration. The whole debate about content warnings in university syllabi come to mind. On one side, you have people ranting against “political correctness run amok,” and higher institutions no longer being about that all important “critical thinking.” Yet all students are asking for is more information. What is going to be covered in this course? Critical thinking is all about gathering as much information on a topic or situation as possible in order to make an informed decision (in this case, that decision would be, “is this the right course for me, my goals, and my needs, or not?”). Those who oppose content warnings in academia or in online spaces seem to have no similar problems with the content warnings on films and TV shows. You can’t make good decisions if you don’t have all the relevant information, and whether a movie has PG rated violence or R rated violence is going to make a big difference in who you choose to watch it with (your 10 year old nephew or your friend who can’t stand gore are not going to be a good fit for the latter). Our emotional lives and limitations are part of critical thinking and making good decisions for ourselves. This is, of course, just an overview of some of the things I’ve found helpful to incorporate into my own life, and though I certainly don’t always do as good a job as I’d like, I have managed to grow into a person who is mostly used to dissecting the media I consume, having thoughtful conversations with friends, verifying sources, and all that other good stuff. And that holds true for a large portion of the adult unschoolers I know as well! When you grow up with a lot more self-determination, it tends to create an environment that fosters what everyone claims to want in children: critical thinking.